A veritable feast awaits at this year’s Wirksworth Book Festival, now in its second year. Both local authors and those inspired by the area share their works and passion at our sister event. Read on to find out more. Wirksworth Festival’s sister event, the Wirksworth Book Festival, is gearing up for its second year with this year’s programme now live and tickets on sale. Running from 30 March – 2 April, the Book Festival offers a veritable feast of literature and poetry highlighting local authors, encouraging readers and generally celebrating books. From local history to crime novels, the Festival will feature a mix of talks, workshops and much more. Read on for details. Please note: For FREE events no booking is required but do arrive at the venue in plenty of time to get a place. Venues are mostly small so places are limited. For ticketed events, tickets can be bought at the Book Festival Box Office at Wirksworth Framing. To celebrate the opening of the 2017 Festival, this will be an evening of memories with poetry, story and song. Refreshments provided by Friends of Waltham House. Event sponsored by the Exton Trust. Come along and enjoy stories, songs and games as we journey through the land of fairy tales. 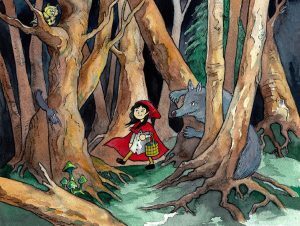 Meet the three little pigs, little Red Riding Hood and the Billy Goats Gruff……. but don’t forget to watch out for that big bad wolf! Fancy dress welcome. Respected local historian, Mary Wiltshire, will tell us more about our fascinating town history in the historic Bookshop, Market Place, Wirksworth. Mary is one half of the author team, along with Anton Shone, who wrote the best-selling ‘Wirksworth: a history” on behalf of Wirksworth Civic Society. Mary has also written books on the Medieval Parks of Derbyshire and Duffield Frith. Crime novelist Stephen Booth talks about the Derbyshire locations that have inspired his best-selling series set in the Peak District and featuring police detectives Ben Cooper and Diane Fry – including the role played by Wirksworth as a setting for ‘Already Dead’. Stephen’s books sell all around the world and have won him awards on both sides of the Atlantic. They are translated into 16 languages, and are currently in development for a TV series. During the evening, Stephen will also answer questions and sign copies of his books for readers. The BFG comes to Wirksworth. Come and meet the BFG, we’re not joking. The doors open at 9.30, film starts at 10.00. You’re welcome to wear your pyjamas! Event sponsored by the Northern Light Cinema. Tickets £3 per child, accompanying adults are free – Tickets available from Wirksworth Framing, NOT directly from the cinema. Come along and get your copy of the new EVR book hot off the press, and find out what events are happening throughout the year as part of the 150 year anniversary of the Ecclesbourne Valley Railway. One of the most important prehistoric landscapes in the Peak District is above Gardom’s Edge, Baslow. To launch his new book, An Upland Biography: Landscape and Prehistory on Gardom’s Edge, Bill takes us on a 5,000-year tour based on five years archaeological excavations. The team excavated a massive stone enclosure, cairns, timber round houses, fields and a chain of clay-lined pits. They rescued eroding rock art and found a ‘body in a bag,’ as well as blue Middle Eastern beads, lead jewellery and shale bracelets – all over 2,000 years old. Lancaster county, Pennsylvania was Jan’s home but she has lived in England for many years. All her life she has loved quilts and their history. For the past 30 years she has spoken about the Amish and their quilts in the UK, Europe, Australia, New Zealand and the USA. In ‘A Family Scrapbook’ Jan describes her family history with quilts from mid-19th century to the present day. Now at the Wirksworth Book Festival she will tell the story of Amish and Pennsylvania quilts. Author Daniel Blythe was first published in his early 20s and has now written 21 books – fiction and non-fiction for adults, children and teenagers, including Reluctant Reader novels, supernatural fantasy and several official Doctor Who novels. Come and hear Daniel speaking all about his writing life, the importance of growing up with Doctor Who, his first attempts to get published and everything he’s learned about being a writer. In a wide-ranging session, Daniel will talk time-travel, ghosts, garden swings, super-mice, pseudonyms, Shakespeare, Star Wars and more. Sonic screwdrivers, bow ties and long scarves welcome! Chip butties for £2.00. This event is for students of Anthony Gell School. Enquire in school. Come and learn from a master of rhyme on April Fools Day and make your own fishy poems. 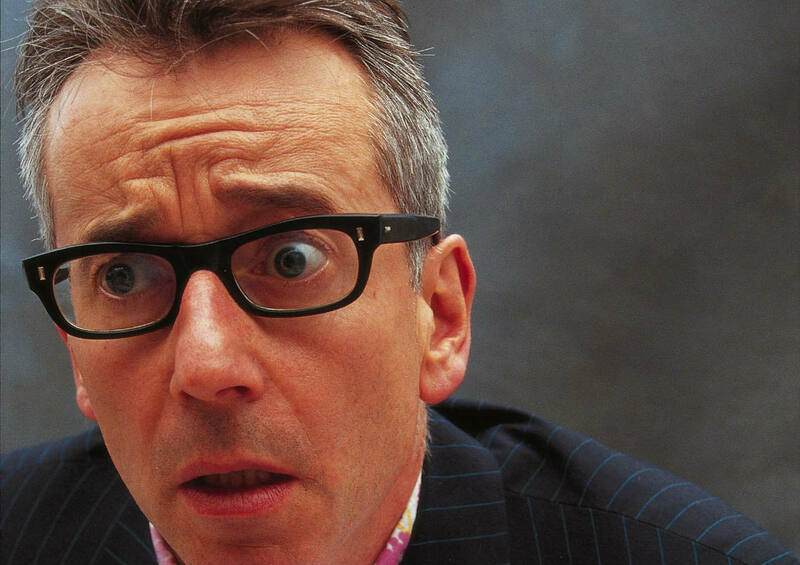 John Hegley is coming to our own Memorial Hall to share his craft at an hour long workshop. Suitable for everyone aged 8 and above. Sophie Snell, author of The Raven Stones, describes the process of writing a book and how she has gone about her latest project, The Pear Drum, a psychological thriller. Plotting, inspiration, motivation, the value of writers’ groups and how to juggle 3 kids, 5 cats and a house move whilst planning your magnum opus. Includes excerpts read and Q & A. For more info about Sophie visit her website at www.sophiesnell.co.uk. Stephen Chalke is a cricket historian who mixes a love of the game, a fascination with social history and a writing style which brings alive the characters of players past. Searching out the lost voices of old cricketers, he has been called ‘the Alan Lomax of county cricket’. He has written 15 books, five of which have won awards. His latest book, Summer’s Crown, telling the story of the county championship, was the Cricket Writers’ Club Book of the Year in 2015. He enjoys public speaking and is never happier than when he has got his audience laughing. Celebrate Poisson D’Avril. 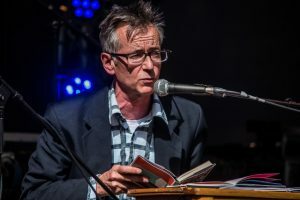 John Hegley, ‘comedies poet laureate’ (The Independent) will recite his poems from his collection and the fresh off the pen poems from the afternoon’s poetry workshop. Enjoy walking? Like talking about your favourite books? Then you might like to come along and join in this free walk with Heather Lounds. The walk is of an easy level and dogs are welcome. Starts under the tree in the Market Place and ends at The Bookshop. Youth hostels changed the world. With no money, no leader and only a simple idea, today they cover the globe. Duncan M Simpson talks about this much loved bit of British life and how he came to write its history. Duncan has written two books, one about the founder of youth hostels and another about their history in England and Wales. He took a job for a summer in a youth hostel and then spent the rest of his working life with them, as a seasonal assistant and manager. 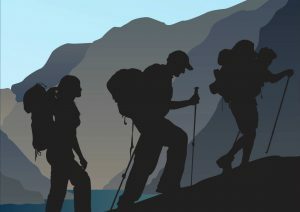 For the last ten years he was head of Corporate Affairs for YHA (England and Wales). Local artist Liz Wellby has been artist-in-residence at Scarthin bookshop for the past year, and has chosen to work on iPad. Liz will talk about working in this busy bookshop and about working on an iPad, and will show some of her work. Why do people keep personal diaries? And what do they write in them? Who, if anybody, do they think will be interested in them? Do they have an ideal reader, perhaps a muse or some specific person, in mind? And how does a diarist deal with the naivety of his or her younger self? Or handle confidences and the potential to cause embarrassment or offence? Andy Miller began writing a diary in 1967 and has continued to do so for fifty years, amassing a set of volumes with a word length around three times that of ‘War and Peace’. His new book, ‘The Ragged Weave of Yesterday’ examines these and other dilemmas and will be launched at the Wirksworth Book Festival. Andy Christopher Miller is a widely-published Honorary Professor of Educational Psychology at the Universities of Nottingham and Warwick. He is a scientist, a memoirist and has featured in a range of national poetry journals and competitions. The end of Festival Book Quiz held in two pubs simultaneously! Max 10 teams per pub, 4 members per team. Compete to be the winning team in your pub, each pub competes to be the Book Pub of Wirksworth 2017. Contact Val Stacey to register your team on 07973 600701 or wirksworthbookfestival@gmail.com.